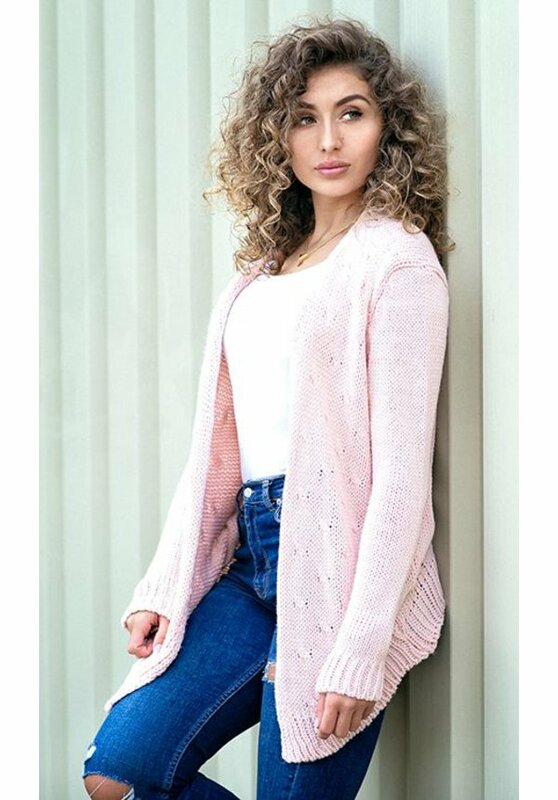 This cardigan in the color pink is made of a soft fabric. 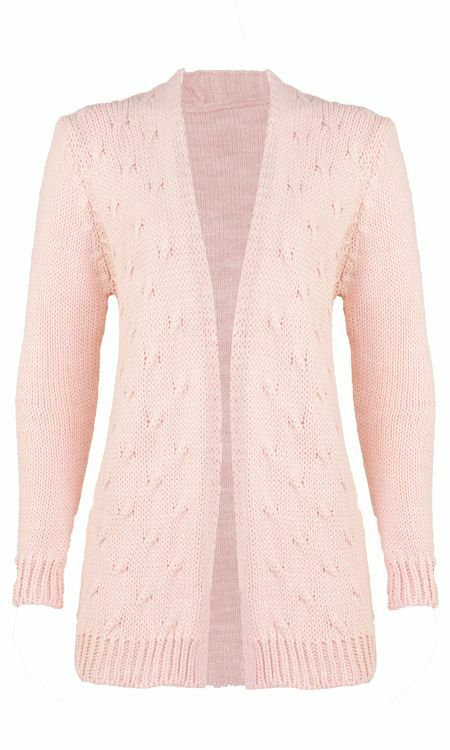 The front and back of the cardigan has a woven pattern. The cuffs are finished with a thicker fabric. 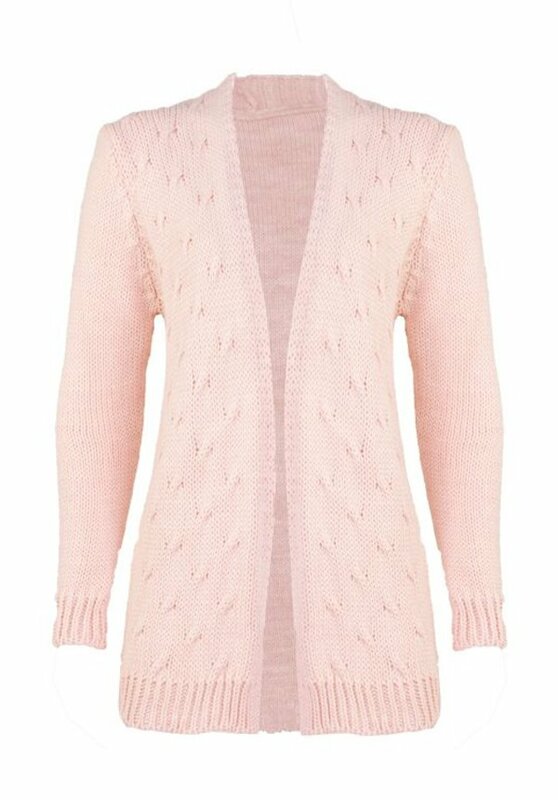 This cardigan is onesize and could be worn with size 34 up to and including size 42. 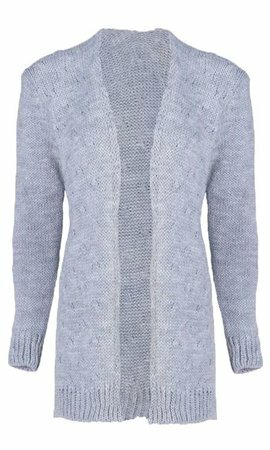 Length: 71 cm.